According to the National Cattlemen’s Beef Association, people in the United States consumed 25.6 billion pounds of beef in 2013. And I would guess that a lot of this beef was consumed in the form of hamburgers! It’s hard to beat a good burger cooked at home on the grill, just the way you like it. Here are some tips for making the perfect burger this summer. Use ground chuck that’s 80% lean, 20% fat. If you can find a butcher that grinds fresh chuck, even better. Don’t use ground round, which can have a livery taste. 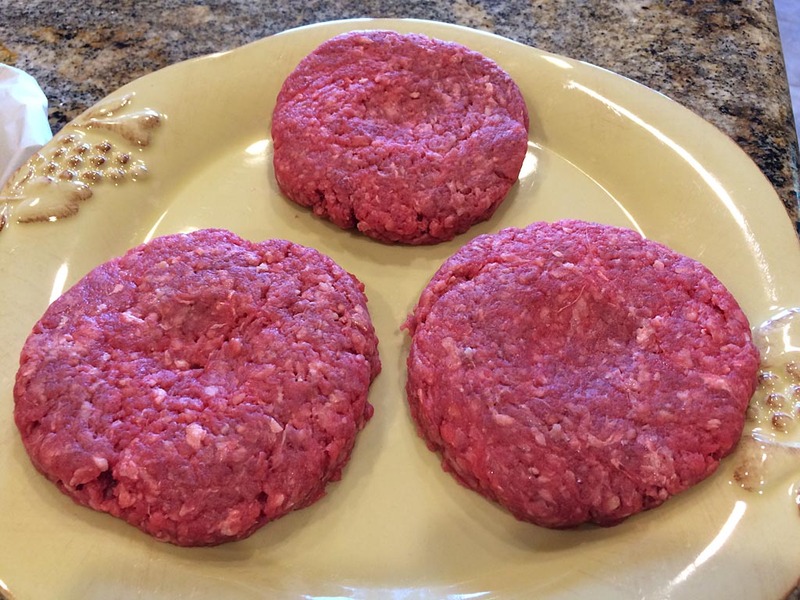 Use a kitchen scale to weigh 1/3 lb or 1/2 lb portions of ground beef, then form them into a consistent size and thickness so all the burgers cook the same way on the grill. Press a dimple into the top of each burger with your thumb. This prevents thick burgers from puffing up like a ball during grilling. Sprinkle patties generously with salt and pepper just before they go onto the grill. 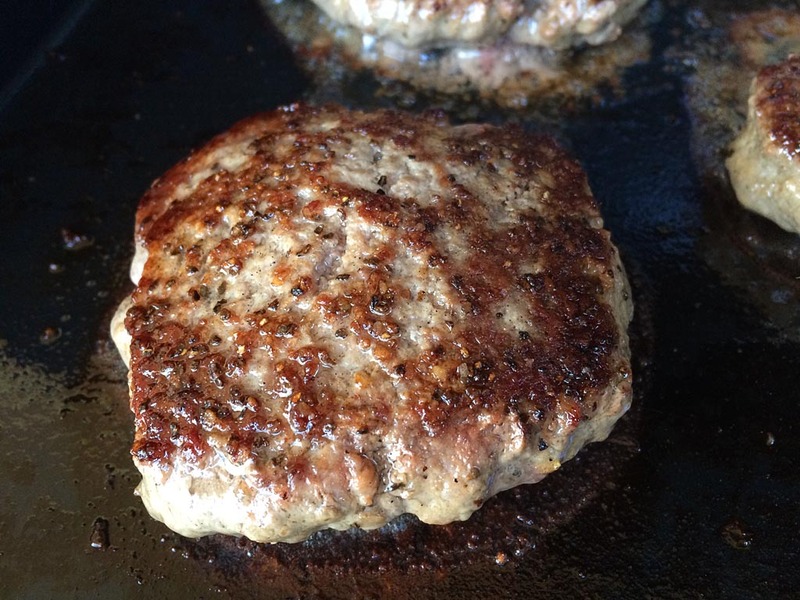 Cook burgers on a clean, hot grill, perhaps 8-10 minutes total for medium doneness. If concerned about the safety of commercial ground beef, consider cooking to an internal temp of 160°F measured with an instant-read thermometer. See Burger Temperature Guide for more details. Let thick burgers rest, tented under foil, for 3-5 minutes before serving so juices can redistribute and reabsorb into the meat. Serve burgers on a good quality potato bun or sesame seed bun.